It was a good year. No long predicted death, no crash. Just masses of folks, folks and exhibitioners. More than year before. 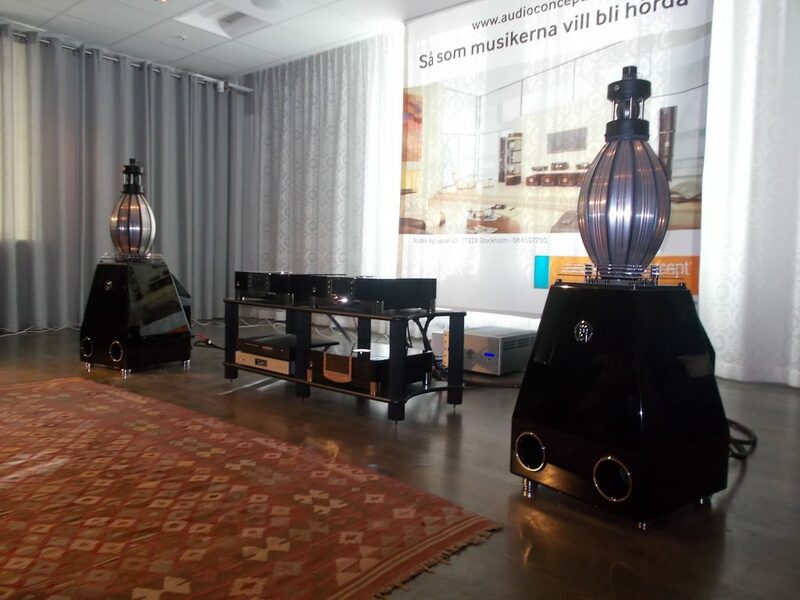 The Stockholm Highend 2017 Show, HEM (High End Mässan 2017) was held in mid February. 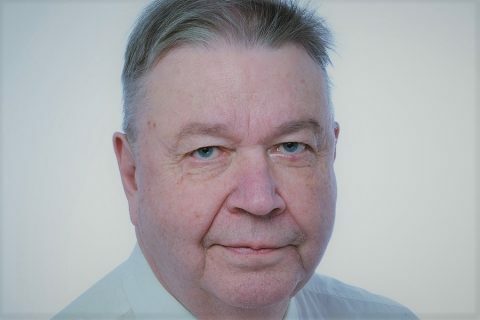 The Swedish economy is in a good condition, and the hobby on a solid, healthy ground. This year there were no simultaneous “alternative” highend events, meaning that some potentially interesting brands were missing, but on the other hand there were brands that haven’t participated in the HEM in earlier years. 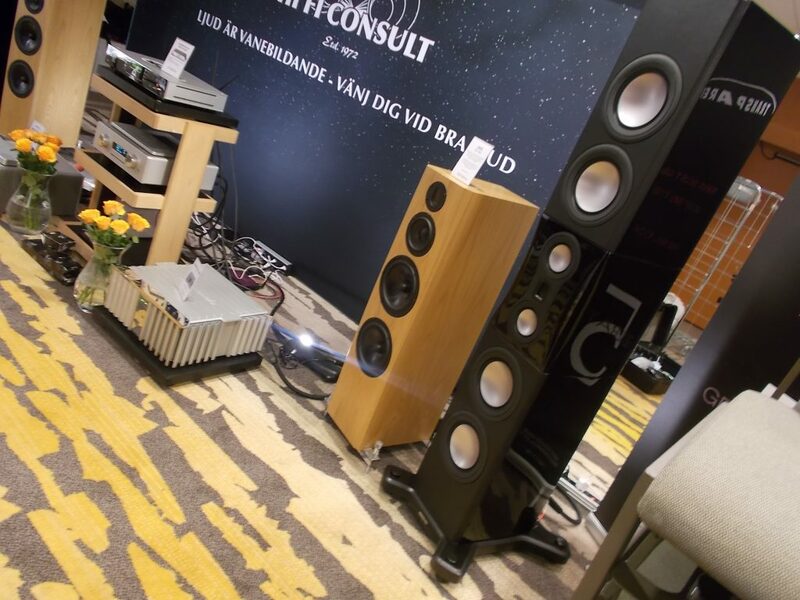 What makes the Show truly a Scandinavian event is the presence of certain Scandinavian brands – Audiovector, Dynaudio, Hegel, Electrocompaniet, Marten, XTZ etc. – and the interest these brands raise in the audience and the way in which Swedish guys seem to be loyal to them. 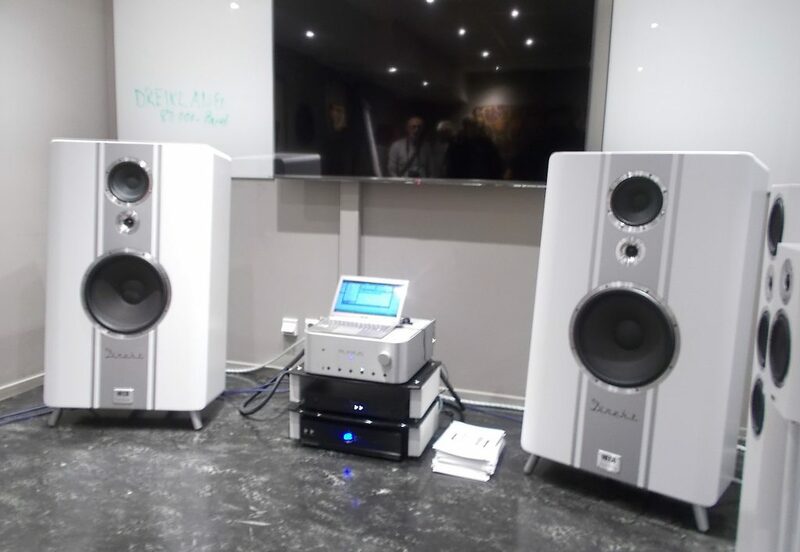 This MBL system, with a pair of 101 E MkIIs at the bow, offered sonic qualities that are hard to achieve with other than an omnidirectional solution. Electronics from the Noble series. Perfect!, but a little less pointing and underlining in the choice of music would have sufficed. 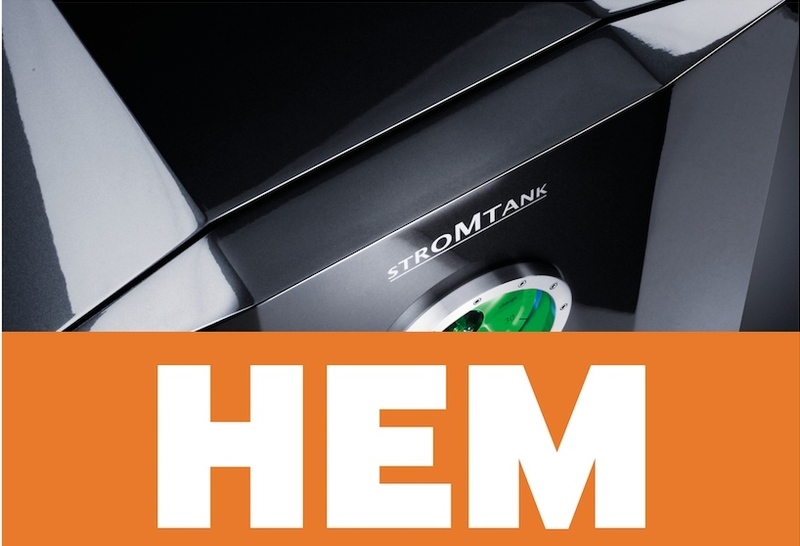 The current for the MBL system sprang from this huge show-stopper called The Stromtank. The boulder ensured pure and stable AC in an unfriendly, heavily loaded environment. True masculinity, and not in an entirely bad way. 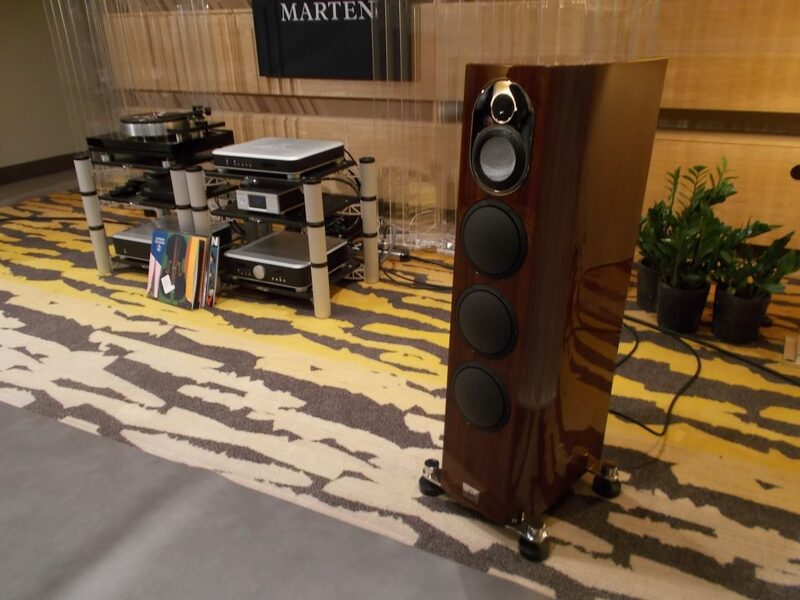 There were two Swedish loudspeakers that were already present in Munich 2016 but somehow got a better chance to blossom in Stockholm. One was Marten’s Mingus Quintet, which apart from being stunningly finely finished, did fuller justice to Marten’s distinctive sonic virtues. The other one was XTZ’s flagship Divine Alpha that sounded good, neutral and fairly flawless, but somewhat suffered from the narrow taste of music of the demo person. 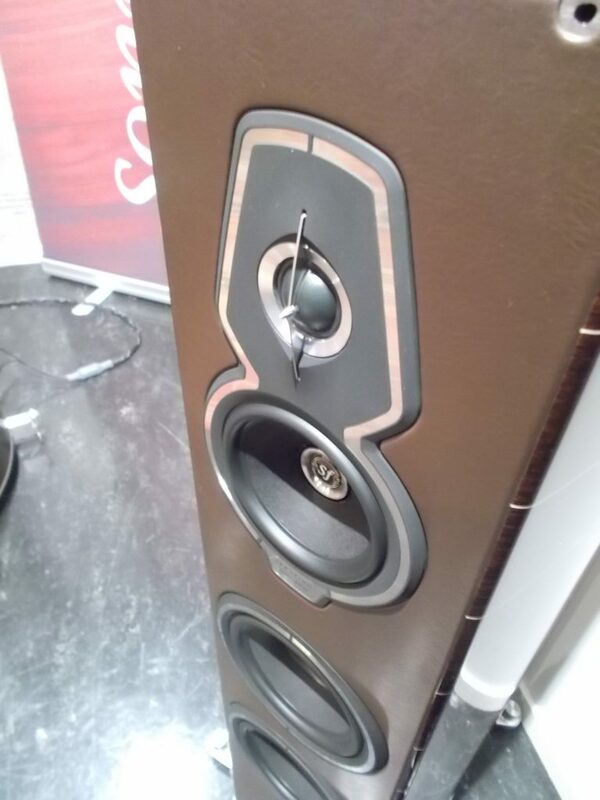 The Danish Gato Audio demoed its very sympathetic and soft-lined electronics together with the new Gato Audio 2,5-way floorstander featuring Scan-Speak drivers including the ring tweeter. 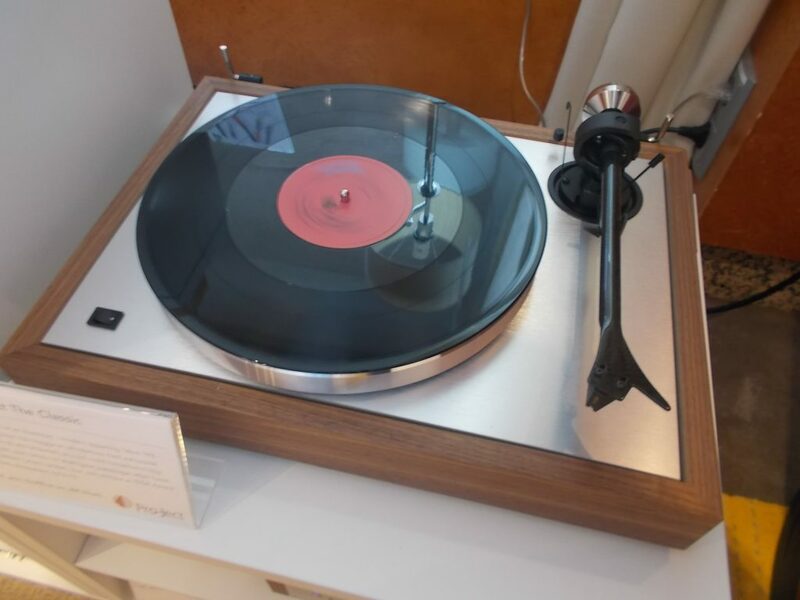 A smooth sound and music on a civilized volume level. 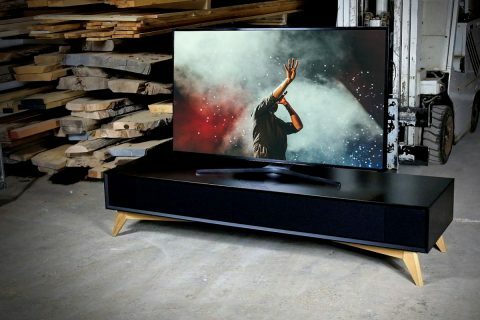 Another highend brand from Denmark Buchard Audio and its S300 MkII standmount speaker in black. 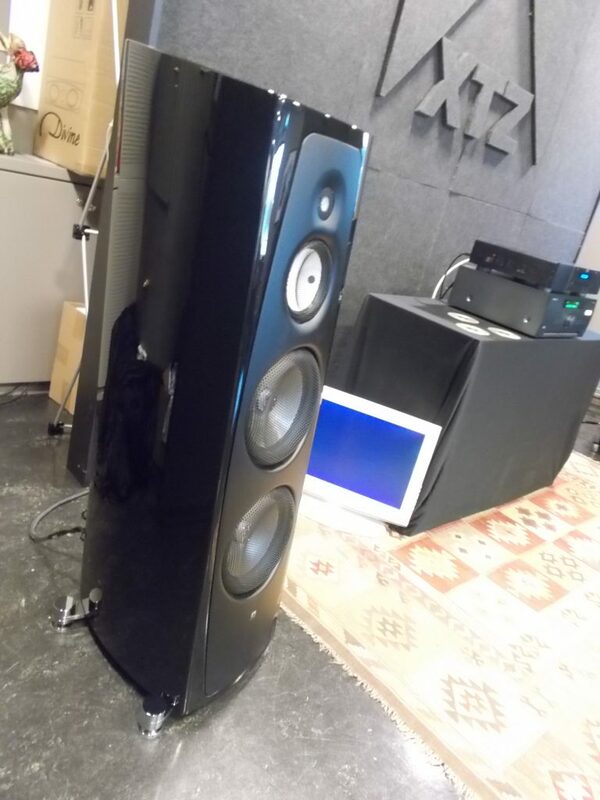 This 845 SET beauty comes from France and is called Prana Audio Arches 845. Behind it are people who work for professional audio. 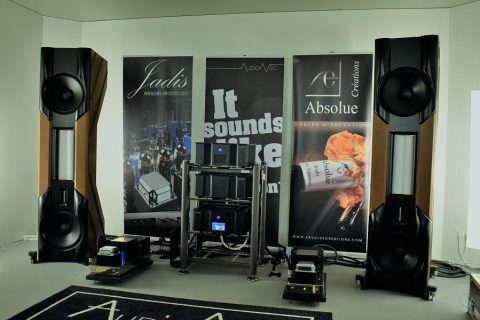 The 20W amp was asked to control Wilson Audion Alexia speakers. 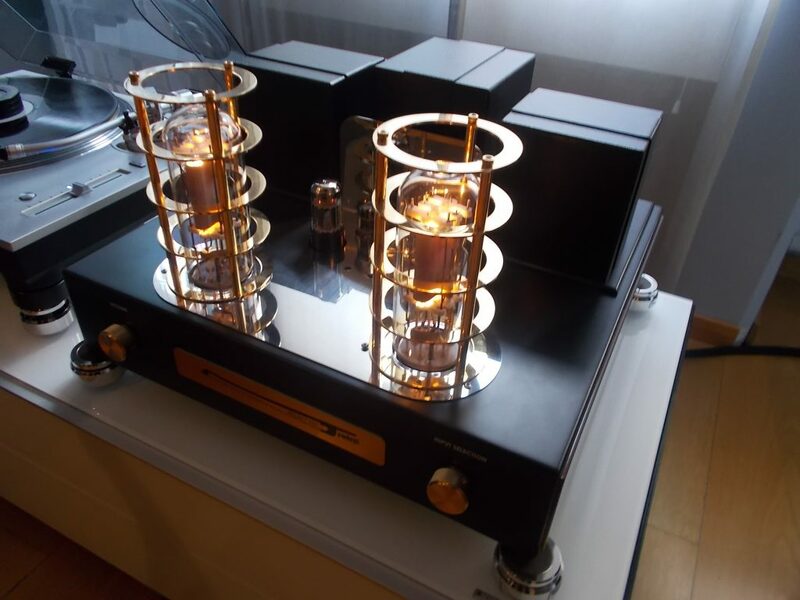 Quite a change for the Alexia, previously married with high power VTL tube amps. 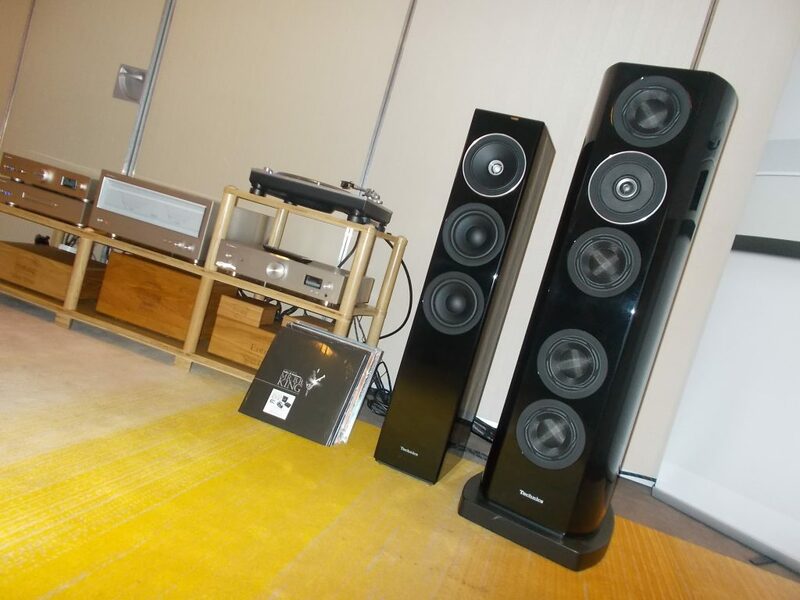 ”The best measure for the quality of the loudspeaker is how it sounds with low volume levels”, said the demo person of the Diapason/LM room. 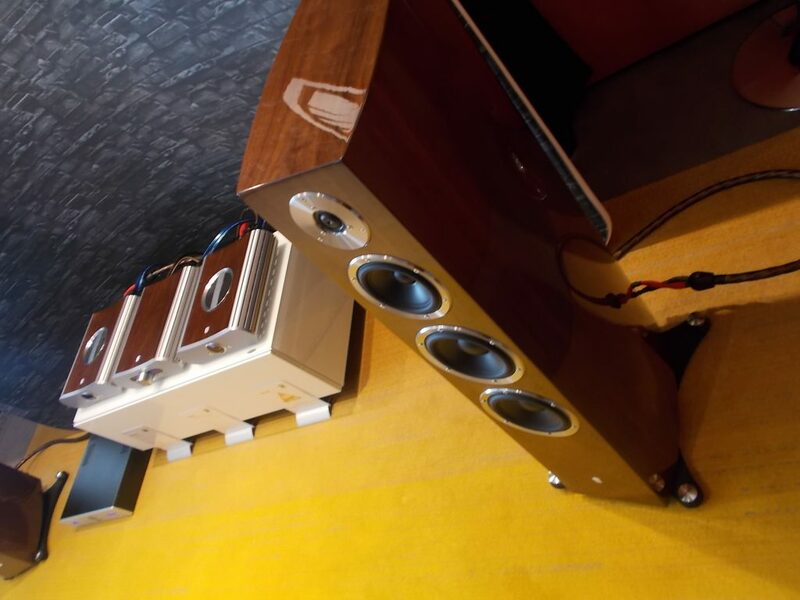 The impressive speaker was the rarely seen Diapason Dynamis, a 3-way with a 29mm silk dome, 180mm Nextel midrange unit and 300mm aluminium woofer. The announced resonance 24Hz! 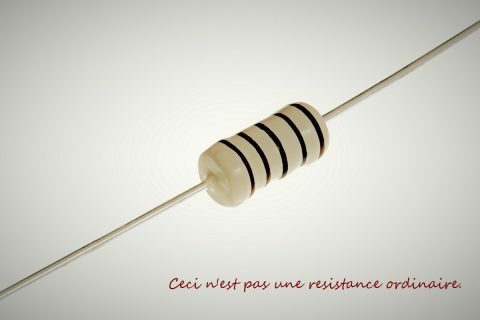 The amps for the 89 dB/W/m speaker came from Line Magnetic known for its well-made WE clones. The on in the pic is a SET-integrated LM Audio 219IA with 845s at the output, 300Bs at the input, power 24 watts. There was something very special about the sound, with classic music in particular. Relaxing. The Swiss Piega is known for its plane driver that covers both the midrange and treble. A very high quality sound with a row of Totaldacs and Valvet amps, including the new Valvet Soulshine 2 monoblock with an external PS. 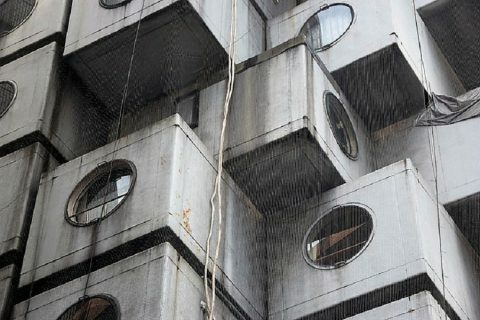 An interesting detail: no carpet whatsoever, a practice favoured by some Japanese extreme-hobbyists. The cable connecting the amps and the speaker were new Bibacords with solid OCC (Ohno Continuous Cast) silver and copper conductors. Insulation with cotton. 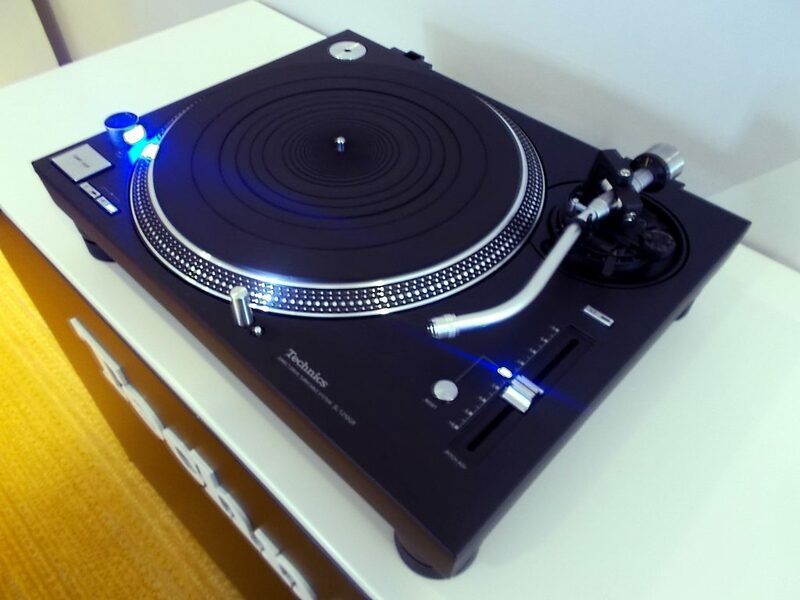 Technics 1200GR – now available in black. Technics had brought two systems to the show. The smaller one was surprisingly competitive as compared to the bigger one, given that the bigger one has some extraordinary qualities, especially in the bass. Heco Direct has delighted enthusiasts right from its launch. With it Heco hit gold. 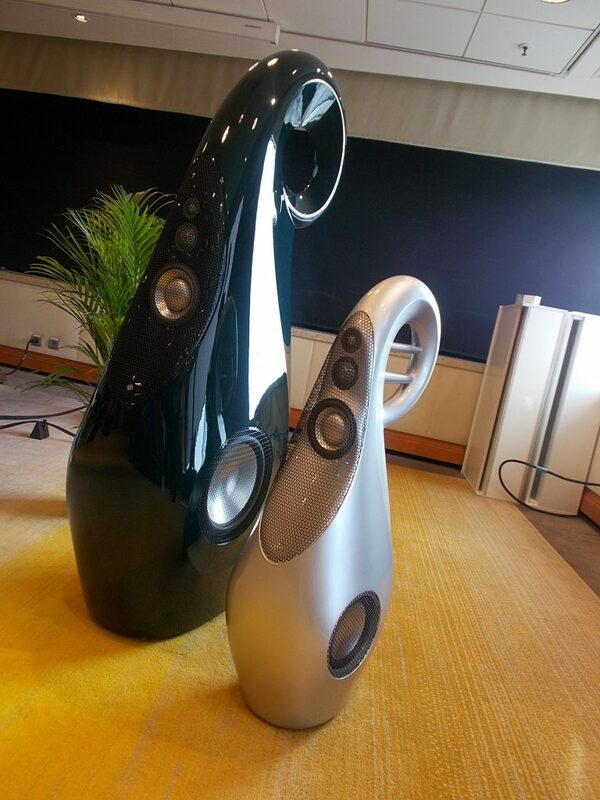 Since then the speaker has grown shockingly while maintaining proportions. This larger version is huge! I had to rub my eyes. Much more horsepower, and the sound consistent with it. A grossly fine cabinet. 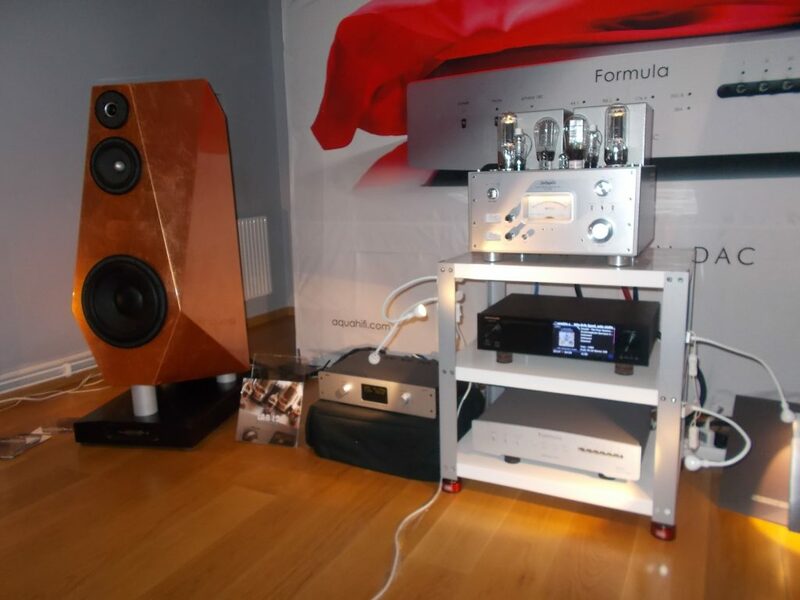 Many audiophile brands have a strong DIY background. 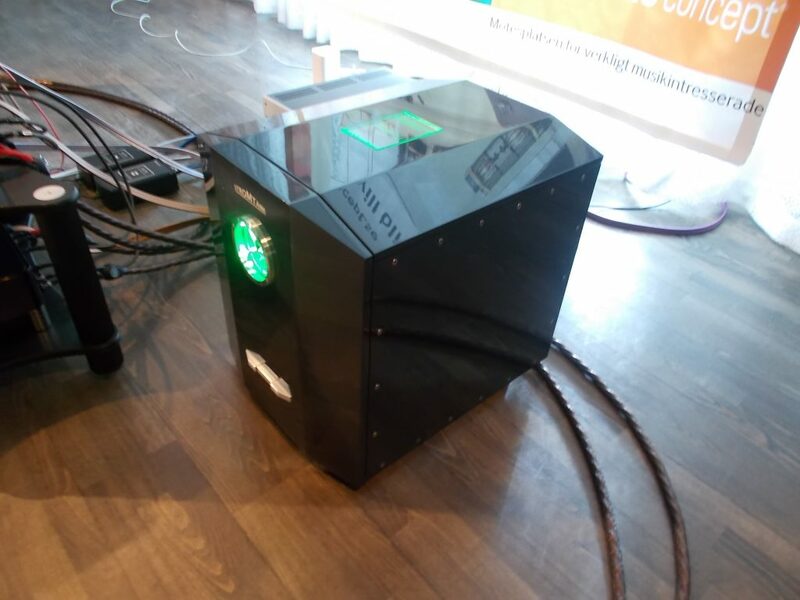 In addition to EAD Sweden, a manufacturer of widebandwidth drivers and loudspeakers, there was this very interesting case: Pure Audio Project and its dipole speakers assembled from a set of modules. One of Pure Audio Project’s most popular models has been Trio 15, in which two 15 inchers border a module for which the customer can choose the driver out of two widebanders (Tangband or Voxativ) or a short horn. The show case was Trio 15 Pap-horn 1. It’s part of the concept that the customer can tune the sound eg. by modifying the crossover. 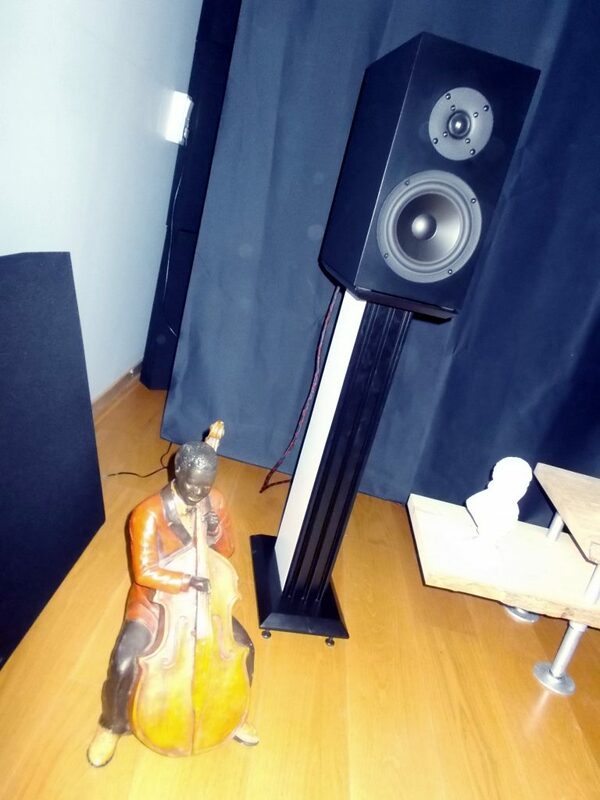 The speaker sends many positive vibs, and its potential regarding the sound quality is apparent. The amp was Soulnote’s small power solid state integrated, that is known to yield very good results with Trio 15 speakers. 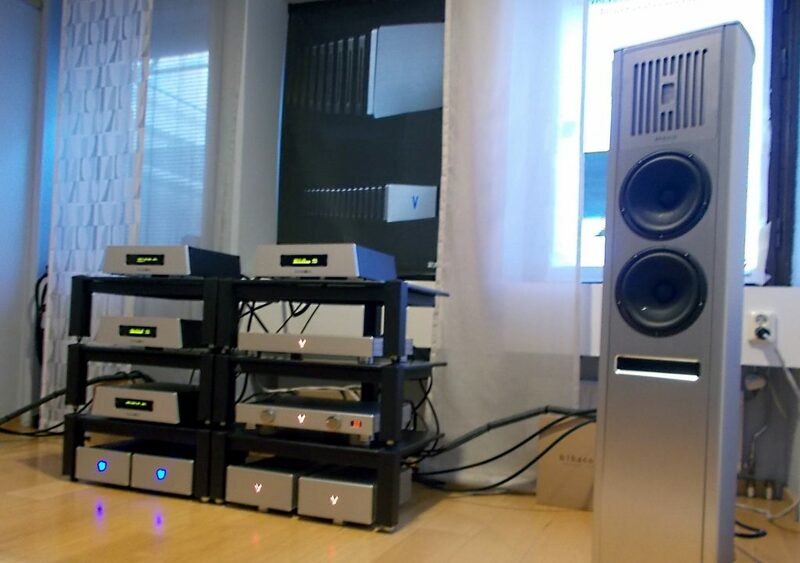 Chez Audio Concept the Swedish 3-way QSR was companied by Monitor Audio’s monster PL500 II. A big difference in price, a way smaller difference in the quality. 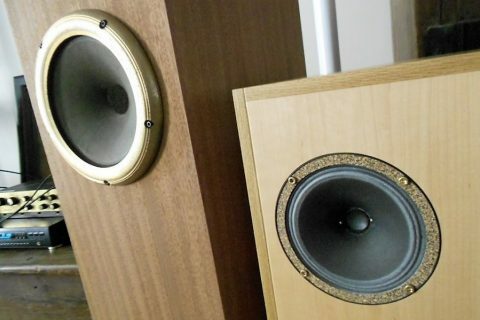 QSR looks ordinary but is an excellent loudspeaker not to be underrated. Amplification by AVM:llä. 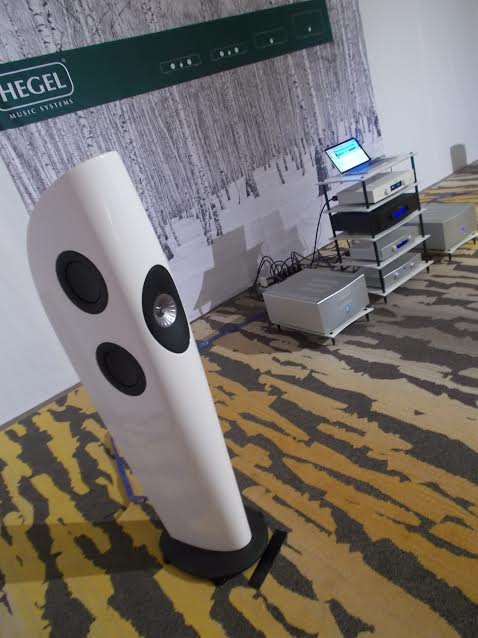 Hegel has sent to the Show its whole amplifier line: H360, HD30, P30, H30 Rös…. all in their turn with KEF Blade 2. A fine sound. 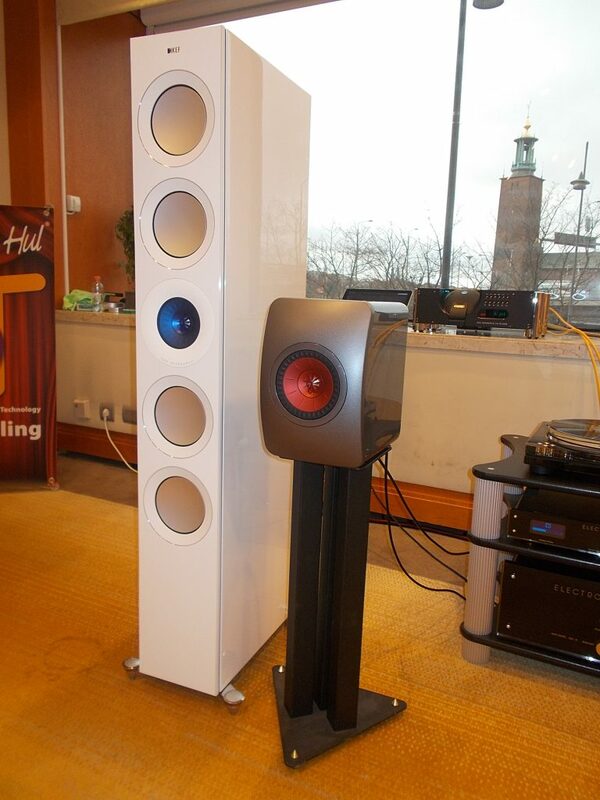 The sound to my liking was the one provided by KEF Reference 5 speakers together with Electrocompaniet electronics. I have yet to hear the KEF Ref 5 not sound good. It seems to do it (sound good) every time independently of the place. A very competent speaker indeed. Sonus Faber’s new Homage series includes Amati, Guarneri, Vox and the this year novelty 3.5-way Serafino, named after the famous violin maker Santo Serafino (1699 – 1758). Techniques inside is new but the visible change is the face plate and the whole layout of the top section. Project’s new Classic TT is on its way to become a new classic. 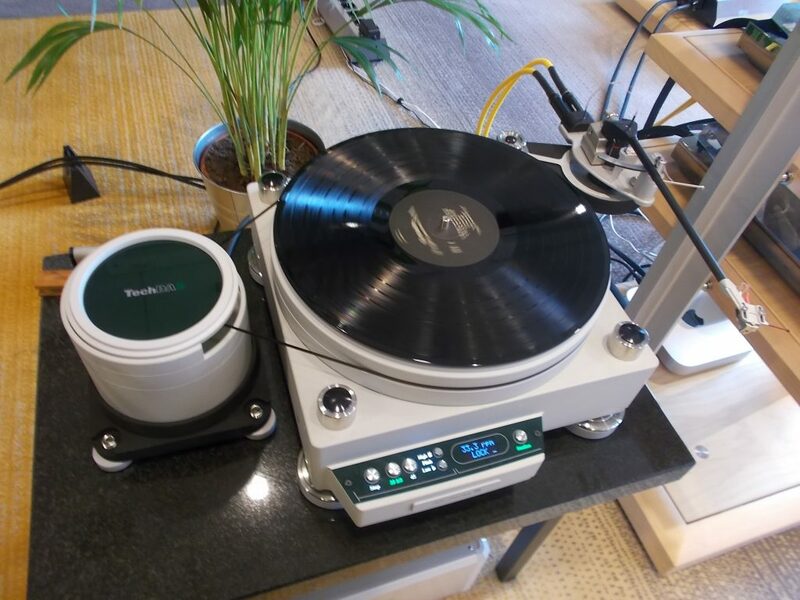 The new and the least expensive Air Force III turntable with its air floating platter, Spiral Groove tonearm and Lyra cartridge. 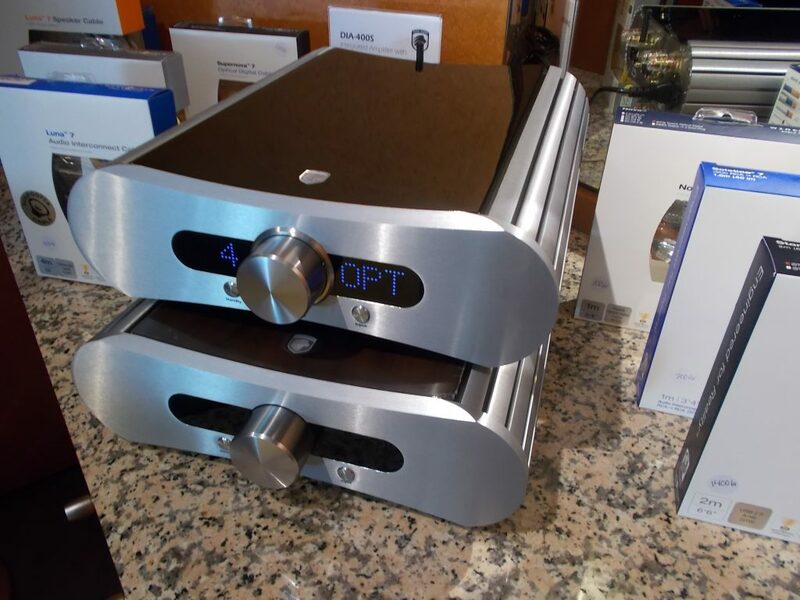 The accompanying Devialet amps sported riaa-correction curves for dozens of cartrdiges the Lyra included. 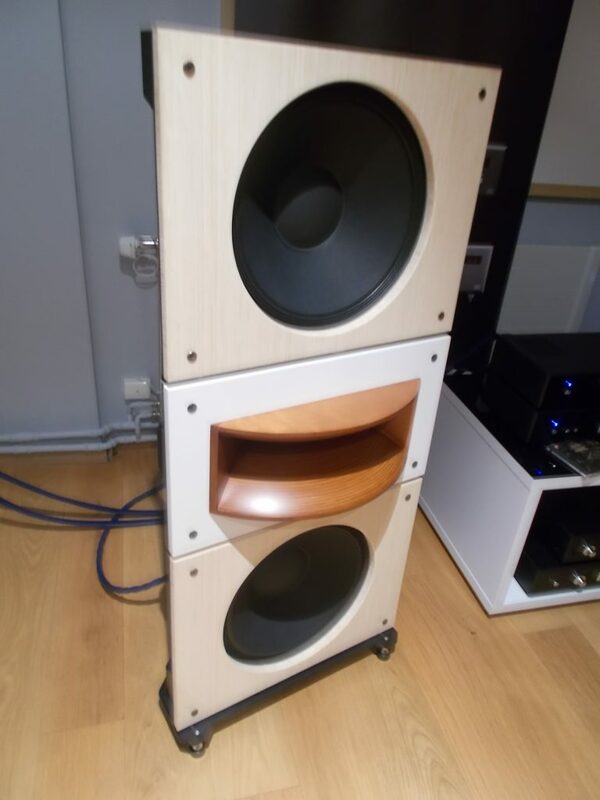 Devialets were also factory tuned for the Vivid loudspeakers. As to Vivid loudspeakers, hatts off to the manufacturer that is not scared to place a driver between the midrange unit and the tweeter, and that concerns the smaller models too. 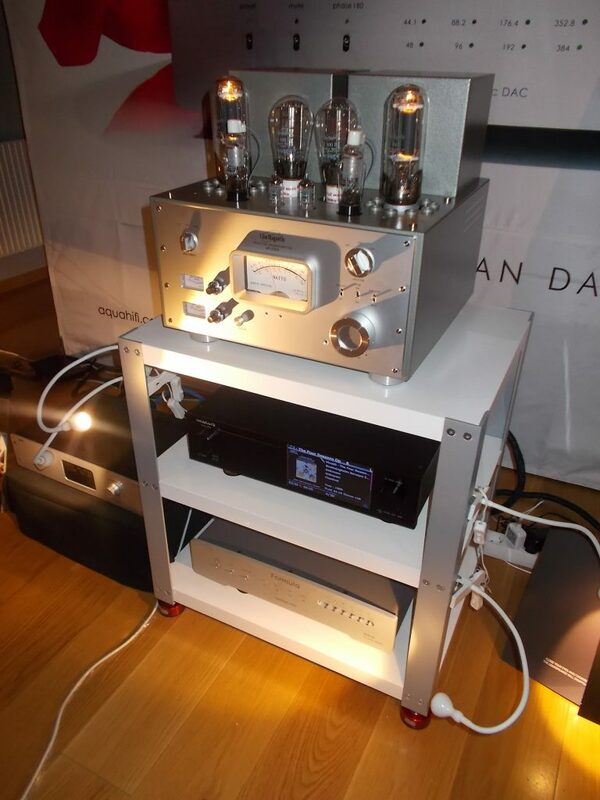 The cables came from a new Swedish firm called Tarfala Audio. A secret behind the cables’ performance is reportedly the use different combinations of metal. 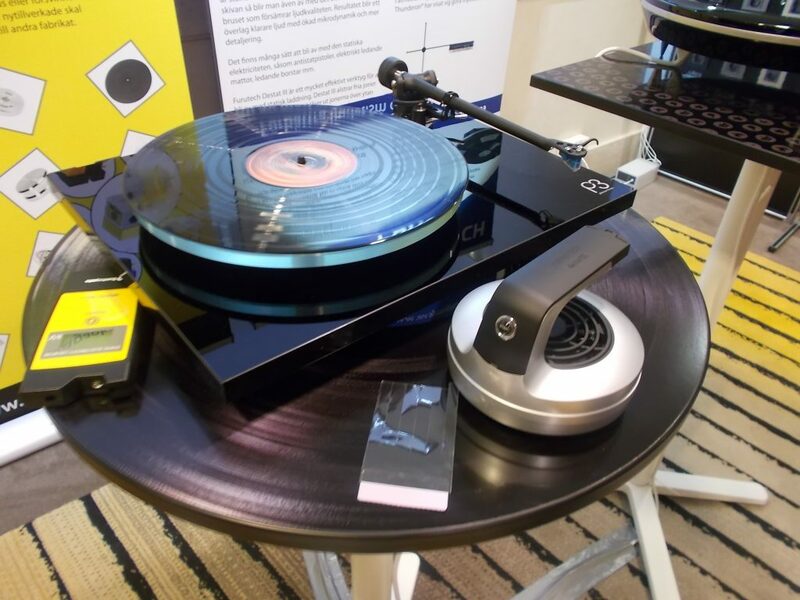 By far the most popular hifi accessory at the Show was Furutech’s Destat III, an iron for removing static electricity. The gadget was used to clean every possible object in the room from LPs to loudspeaker drivers and so on.